The customs and cultural background of the people were strange to us, eye-opening. All toward greater understanding of the world we live in. A Breeze in Bulgaria is available as an eBook. This entry was posted in About the area, About the People, Peace Corps, Volunteering by Bruce McDonald. Bookmark the permalink. It’s part of what the Peace Corps calls “The Third Goal.” The three goals set out in the 60s by Sargent Shriver are (I’m paraphrasing) 1. Go do stuff to help people. 2. Let them learn about Americans. 3. Let Americans learn about people in other countries. Mr. Shriver would have been well in tune with Dr. Vajda on why the second and third are important. So why was this man putting up with such behaviour instead of living in America, the land we all wanted to go to one day, the land of opportunity. I think it dawned on me at some stage that you actually liked Bulgaria, liked Pazardzhik, liked… us – the students. I feel this realization helped me ask myself questions – lots of them – what is it that you liked, how was it different to the world you knew, and I learnt that different didn’t mean necessarily worse. I was slowly getting more and more eager to show off and talk to you about all things Bulgarian – customs, literature and of course food. 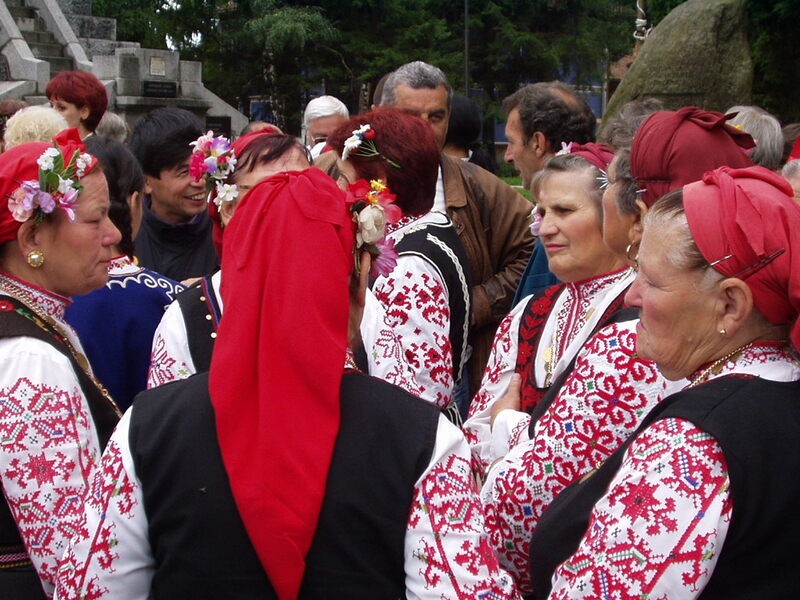 Later on, when I lived and studied overseas, I suddenly saw and understood what made Bulgaria special and unique. You as a volunteer helped me see my own life through pink glasses and actually value it and find the positives from having had a poor background. You have greatly contributed to me being able to speak and write in English which has opened my horizons and enabled me to travel to places I had never imagined… The first time I stepped in front of the Opera House in Sydney, I broke down in tears and cried with happiness because it was a dream come true. I miss Bulgaria every day and go back home every year. I am sometimes sad I didn’t stay and continue my education there however I have never regarded it as anything else than a “home”. We need more people like yourself and your wife. Thank you if I never said it and take care! Oh my dear Glory! You have melted an old teacher’s heart. Thank you for your kind thoughts. It makes me more than glad to know you are well and happy wherever you choose to be. When I am feeling sad or disillusioned, I shall come back to your words and refresh my spirit. Wow, that’s what teachers live for, isn’t it? Certainly not the pay. It’s a little sad that Slavka had to leave her country to find her happiness but that’s not unique to Bulgaria. It’s good though that she got the education and skills to make her choices. Good for you for helping her, and for representing Americans in a good way by being there.